Affinity At Serangoon is proudly presented by Oxley Holdings, Lian Beng Group, Apricot Capital and KSH Holdings. This mega development consist of resort like facilities and has units ranging from one bedroom to five bedroom. Affinity is a merely a short stroll to the Cross Island Line at future Serangoon North MRT station. New Launch, Alana at Sunrise Terrace comprises of 78 cluster terrace houses with condo facilities. Alana is by leading property developer, Far East Organisation. Alana will obtain TOP in 2017. View the beautiful strata landed house today. If you are someone who loves the city and yet wants to stay away from the hustle and bustle of a city life, Avenue South Residence will definitely make the perfect choice for you. Strategically located along Silat Avenue, which is a quiet residential enclave, this Singapore Condominium of 56 storey high is standing right at the edge of the city and next to the future Greater Southern Waterfront. The Upcoming Buangkok Condo is a mixed residential-commercial development and is just a minute walk to Buangkok MRT Station. Buangkok condo will comprise of 682 residential units. There will be retail shops, a hawker centre, a community centre and a bus interchange located within the development. Immerse yourself in pure luxury of resort living at Coco Palms. 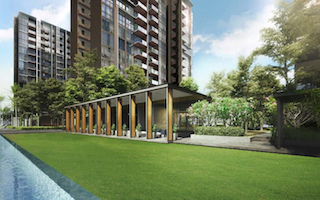 Situated along Pasir Ris Grove, Coco Palms is the latest new launch condo project by CDL. Lagoon-like water features and lush green spaces are designed within the project to create a resort-like ambience. d’Nest is one of the best selling condo by CDL with only 4-Bedroom units left. dNest is about 5 mins stroll to Pasir Ris MRT station and White Sands Shopping Mall. New Launch, Eon Shenton is located in the financial district of Singapore, 99 years leasehold mixed development, Eon Shenton is only mins walk to Tanjong Pagar MRT Station. Learn more about this beautiful development now! Fourth Avenue Residences – A luxury private residential condominium next to the underground Sixth Avenue MRT station. Situated in the prime Bukit Timah Estate, Fourth Avenue Residences is surrounded by good schools and popular eateries/cafes. This development is just 2 stops away from our National Garden (Singapore Botanic Garden) as well. Located about 10 mins walk away from both Hougang and Kovan MRT station, the Florence Residences (Ex Florence Regency) is a mega condominium development that is standing tall along Hougang Avenue 2. Future residents of Florence Residences development will enjoy mesmerising views as they are just next to the low rise private landed housing enclave. Being in a mature estate, residents are also surrounded by plenty of amenities. Forest Woods at Lorong Lew Lian (Serangoon) is the latest going Development by CDL & Hong Leong. The development is just a a few minutes walk away from Serangoon Central, MRT station and mega Shopping Mall, NEX. Highline Residences is a 99-year leasehold project by renowned developer, Keppel Land Pte Ltd. It will be situated along Kim Tian Road in the Tiong Bahru Estate. It is only within few minutes to dining, entertainment and shopping amenities. Reside in perfect harmony, in a home where peace and tranquility reign. Hilbre28 @ Hillside Drive is a 999-years leasehold condominium that features resort style designs in district 19. JadeScape / Shunfu Condo which is situated in the old Shunfu Ville Estate is within 200m away from Marymount MRT station. It comprises of 1100 condominium apartments and strata houses ranging from 1 bedroom to 5 bedrooms. Sitting next to Jalan Kandis, Kandis Residence comprises of 130 unit ranging from 1 Bedroom to 3 Bedroom with Study. Being just next to Sembawang park, residents can expect to come across a sea breeze from the Johor Straits during their jogs along Sembawang Park. Spread on a total area of 29, 659 sqm, Kent Ridge Hill Residences has eleven blocks of 5-storey residential apartments. There will be a total 548 units and this includes fifty 4 & 5 bedroom strata landed houses. There will also be a good mix of 1 bedroom to 4 bedroom units in the residential blocks. LA Fiesta is right in the heart of Sengkang. Residents will be able to reach Sengkang Mall and MRT/Bus interchange within a minute’s walk. La Fiesta has already obtained its TOP in 2016. Strategically located next to the Jurong Lake, new launch condo Lake Grande is another prestigious project by renowned developer, MCL. This long awaited residential development is less than a 5 minutes of leisure stroll from Lakeside MRT station and is only few minutes train ride away from the second CBD of Singapore. Bukit Batok Condo is a mixed development which blends both residential and commercial uses. The development is expected to house about 500 residential units. Retail units will be available within Bukit Batok Condo, bringing ultimate convenience to the residents. Sitting in a mature town in the western part of Singapore, the development is also close to many amenities. With top quality fittings and furnishing, spacious area with a smart and efficient layout, Margaret Ville, a new launch condo at Margaret Drive is a dream being made into reality by MCL land developers. Margaret Ville which consists of about 309 units is just a short walk to Commonwealth MRT Station and will soon be released for sale in first half of 2018. Martin Modern is the latest luxurious condominium by leading developer, Guocoland Limited. Nestled along Martin Place, this elegant new launch features classy architecture and premium facilities. The Martin Modern by Guocoland is the perfect combination of modern urban life and relaxing beauty of nature. The Mayfair Gardens is an upcoming new launch development located along Rifle Range Road in the Bukit Timah Estate. Developed by Oxley Holdings Limited, Mayfair Gardens is an London-inspired development that offers its residents an unparalleled privacy and exclusivity. Mon Jervois is a 99 years leasehold project by Singland Development (Jervois) Pte. Ltd. This exclusive condominium is a quiet oasis of tranquility surrounded by luscious greenery and water features without compromising on its convenience. NEWest is a new mixed Commercial / Residential Development along West Coast Drive. NEWest blends the best of retail and residential, under one roof. Welcome to Nim Collection, one of Seletar Hills’s new residential enclaves. Nim Collection is bringing in front high-quality homes that are designed to offer comfort, value and a resounding experience for the current and upcoming generations. If you want a modern, unique home to live in and one that offers you all the features you may need, the Nim Collection establishment is the right option for you. The Nine Residences is a mixed residential development that comprises of both residential condominium units and retails units. This development located along Yishun Avenue 9 and is approximately 10 mins walk to Yishun MRT station. Being one of the rare integrated mixed development in Singapore, North Park Residences is one of the best selling Sg Condo in 2015. This beautiful condo houses a total of 920 units and has access to all amenities at its doorstep. Upcoming Fernvale Condo, Parc Botannia will soon be launching for sale. This development comprises of 735 residential units with 4 towers of 22 Storeys. Located along Fernvale Road, this Singapore Condo is just next to Thanggam LRT station and the popular Jalan Kayu food enclave. Units start from $5xxk onwards. Parc Esta (Former Eunosville Condo) is a Singapore condominium located between Sims Avenue and Changi Road in District 14. It is a former HUDC development that was purchased in 2017 by MCL Land, to become the third biggest collective sale in Singapore at the time. Parc Riviera will be sitting along West Coast Vale, next to the waterfront of Sungei Pandan. This residential development consist of 2 40-storey high towers and will accommodate up to 700 luxurious apartments. 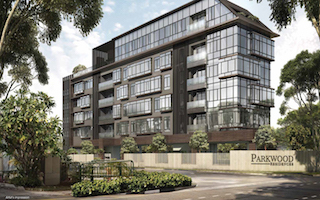 Parkwood Residences is nestled in a low-rise exclusive enclave along 208 Yio Chu Kang. A good mix of 3 to 5 bedrooms apartments can be found in this private development. Parkwood Residences is also within a kilometre away from top primary school, Rosyth Primary School. Montfort Primary and Secondary and Serangoon JC are all just a short distance away. New Launch Condo, Pollen & Bleu is tucked away in tranquil Farrer Drive in Prime District 10. It is 5 mins walk away from the underground Farrer Park station. Situated along Dundee Road in popular city fringe District 03, Queens Peak by MCC Land is a mere 3 minutes stroll to Queenstown MRT station. Queens Peak Condo will comprise of about 736 units with unit mix ranging from 1 to 5 bedrooms. Situated in Hougang Avenue 7, standing next to Serangoon River, residents of Riverfront Residences will enjoy stunning views over the river, and the surrounding green landscape. This development will have a full pledge condominium facilities. Enjoy the breathtaking picturesque scenery of the river and mother nature right outside the windows of your cozy condo. Rivertrees Residences is nestled along Punggol Reservoir at Fernvale Close. The location of Seaside Residences is highly feasible as it connects to all the main highways and gives instant access to all the necessary amenities. Residents of the development will be able to live the highest quality urban life with combined with comfort and peace of the nature. Seletar Park Residence is situated in a low rise residential enclave along Seletar Road. This resort-like private condominium obtained its TOP in September 2015 and houses a total of 276 luxurious suites. Sims Urban Oasis @ Sims Drive – One of Singapore’s first estates set within a location overlooked by most, is in fact a hidden gem tucked away on the edge of Singapore’s bustling Central Business District & Marina Bay. Sixteen 35 Residences is situated at 16, Lorong 35 Geylang. This leasehold development carries a simple and yet elegant black and white colonial design and is just a brisk walk away to Paya Lebar MRT station and Paya Lebar Central. Skies Miltonia at Yishun will TOP soon in the first quarter of 2016. With 420 units ranging from 1 to 4 bedrooms suites which are elegantly designed and sophisticated townhouses which are PR eligible. Hidden away from the big city buzz, and yet highly accessible to the entire Singapore. We bring you Sophia Hills, the future most iconic condominium development at Mount Sophia. Sophia Hills is just near Dhoby Ghaut Interchange station. Look out for this elegant Singapore Condo, the future Stars of Kovan. Stars of Kovan by Cheung Kong Holdings is mins walk to Kovan MRT station and Heartland Mall. This 99-year leasehold is a mixed residential & commercial development. The Stirling Residences is surrounded by several business centres. It is located in the centre of the first and second Central Business District of Singapore and is linked directly to them via the East West MRT line.. This new launch condo is located just a stone’s throw away from Queenstown MRT station. New Condo Launch, Sturdee Residence by developer, Sustained Land is a city fringe development in Prime District 8. This upcoming condo is located close to Farrer Park MRT station. The Clement Canopy is the latest joint venture by renowned developers, UOL and Singland. 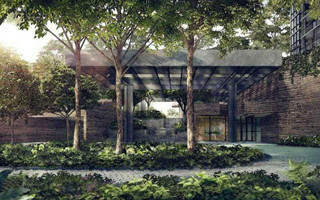 Located along Clementi Avenue 1, The Clement Canopy will comprise of 505 condominium units spreading across 2 forty-storey residential towers. The Essence is a 5-storey low-rise residential development in the private Springleaf enclave along 1 Chong Kuo Rd. This upcoming development is a mere 7 mins walk to SpringLeaf MRT. Located next to Upper Thomson Road, The essence is surrounded by both amenities and greenery. The Jovell is located along Flora Road in Pasir Ris. This development is by Hong Leong Holdings. Though located in a private and landed enclave, The Jovell is a luxury condo that is selling at a price tag similar to that of an executive condominium. The Residences at W Singapore Sentosa Cove is where luxury and comfort are redefined on entirely new levels. The place to live a waterproof life while being in the water! Huge unit sizes and spacious layouts are available in this completed development. The Santorini at Tampines Avenue 10 is situated between two water bodies that enhance the scenic view from the building. Living in The Santorini does not cut you from enjoying the beauty of nature. The Tapestry @ Tampines is brought to you by renowned developer, CDL. This development sits in a private residential enclave along Tampines Avenue 10 and is located close to the Tampines Regional Centre which is also identified as the commercial business centre of the east. The Tre Ver – Raintree Gardens is an old HUDC that underwent Enbloc. This redeveloped condominium is located along Potong Pasir Avenue 1. The future residents of this upcoming new launch will get to enjoy a scenic view of the Kallang River. Learn more about The Tre Ver today. The Venue Residences and Shoppes adds a new life to the surrounding area of the Upper Serangoon Road and MacPherson Road. With a 3 minute walk to the Potong Pasir Station, The Venue Residences and Shoppes enrich the junction of the two roads with modern facilities and connection to the further contemporary life of the city. Sitting at Lorong Puntong in District 20 next to Sin Min Avenue, new launch, Thomson Impressions is opposite Ai Tong Primary school. Thomson Impressions is near upcoming Bright Hill MRT station. Beautiful development, Thomson Three is a joint venture of UOL and SingLand. The development consists of 10 Strata houses and 3 towers of 21-storey condominium apartments. Thomson Three is less than 5 minutes walk to upcoming Thomson MRT station and Thomson Plaza. Dwell in the rarity of urban utopia. Steps to the MRT, Satisfy the Needs! Situated closely to the Aljunied MRT station, residents of Tre Residences will enjoy greater convenience and connectivity. Siting close to Singapore River, UP @ Robertson Quay is a completed mixed used development. UP @ Robertson Quay offers an unrivalled perfect combination of tranquil river living and the city’s prime commercial districts. The leasehold development is made up of a collection of 70 luxurious residential suites. With attention to detail that incorporates luxury living each step of the way, the Victoria Park Villas are securely tucked away in the residential area along Victoria Park Road and Coronation Road. Whistler Grand by renowned developer, CDL – A 36 Storey high rise condominium that is along West Coast Vale Road. Residents of this beautiful new launch condo will be fascinated by the magnificent breathtaking views of the Pandan Reservoir and Bukit Timah Hills.